What could possibly be better than cruising the latest bars and clubs in Miami? Rubbing elbows with celebs in trendy spots like Cameo, Mokai, Ink or Suite. How about cruising in a drop top Rolls Royce Phantom? Sure you’re thinking that’s the life of the rich and famous. At Exotic Car Rentals Miami, we make it possible for you to live like the rich and famous – even if just for a night. With a Rolls Royce Drophead Rental from Exotic Car Rentals Miami, you’ll feel like a celebrity. The tourist on Miami Beach will not take their eyes of you Rolls Royce Drophead. We will also deliver your Rolls Royce Drophead Rental to any Miami Airport. The Phantom Drophead Rental is the latest in the Rolls Royce family. 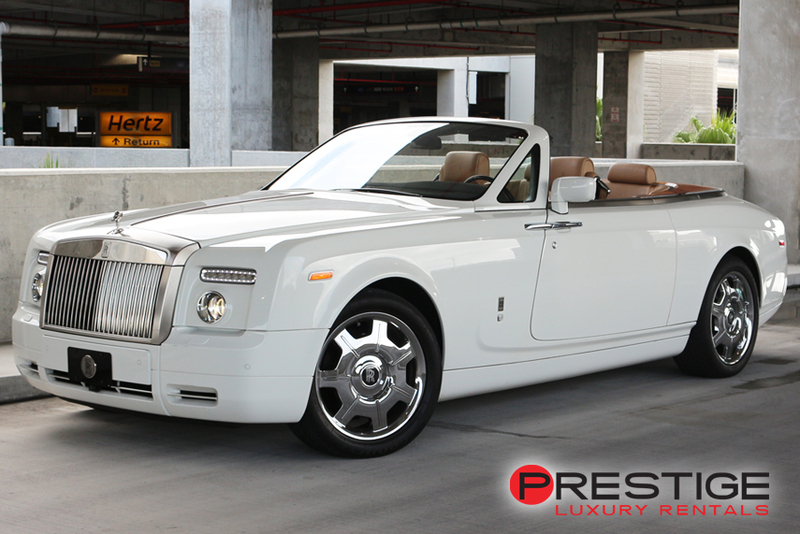 Patterned after luxury yachts, the Drophead is the ultimate convertible experience. Rolls Royce has created a vehicle that is just as pleasurable for passengers as it is for the driver. Riders are cocooned and enveloped in luxury seats, creating an “oasis of calm”. The Drophead is touted as less formal than others in the Phantom family, but retains all the elegance and class of the company’s brand. For a truly unique driving experience, come see the Phantom Drophead at Exotic Car Rentals Miami. We specialize in luxury cars for hire. Renting this Rolls Royce Phantom Rental for a Wedding is not a bad idea. Check us out today.